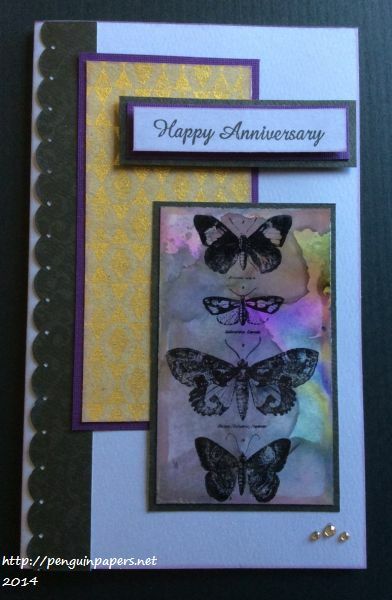 This entry was posted on Monday, June 23rd, 2014 at 1:46 pm	and tagged with alcohol inks, cardmaking, distress techniques, ek success, Impression Obsession, Ranger, stamping, tim holtz and posted in Anniversary. You can follow any responses to this entry through the RSS 2.0 feed. Cute card, your lucky to have a nice place for classes and supplies. Awesome background for your butterflies! !